Here at StubbyDog we love to honor our heroes, both the two and four legged variety! Memorial Day is a great opportunity to spread the word about all of the amazing pit bull type dogs that have served as both courageous and decorated war heroes, especially our namesake, Sergeant Stubby! 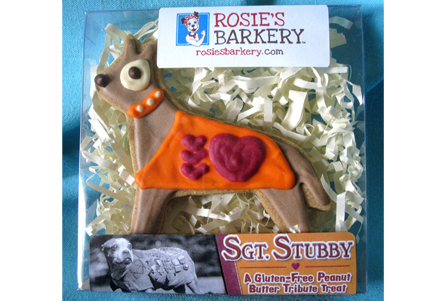 So this Memorial Day we’ve partnered with Rosie’s Barkery to bring you an extra special treat, the Sergeant Stubby Cookie! The Sgt. Stubby Peanut Butter Tribute Treat! Rosie’s Barkery is an all-natural Doggy Bakery which was started in 2010 to help raise money for shelters and rescues. It is supervised by CBGT (Chief Baked Goods Tester) Rosie, a pit bull mix. 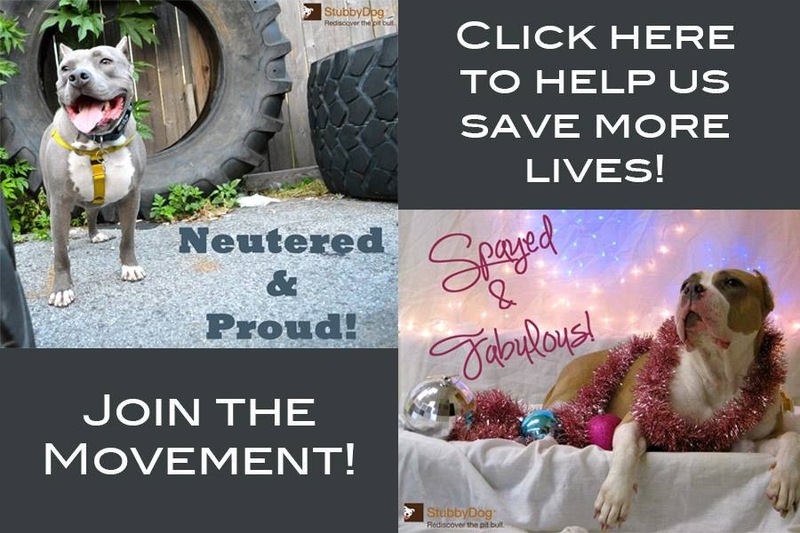 During the month of May, Rosie’s Barkery will donate 10% of all proceed to StubbyDog! We are very excited to be able to honor Sgt. Stubby in this way as well as help you all use it as a good way to get out and tell people about all the amazing canine war heroes that should be honored right along with their two legged companions this Memorial Day and always! Cool idea! I placed my order. The reactions of the recipients will be interesting to see. @dragondix2 Thank you so much for supporting Stubbydog with your purchase!